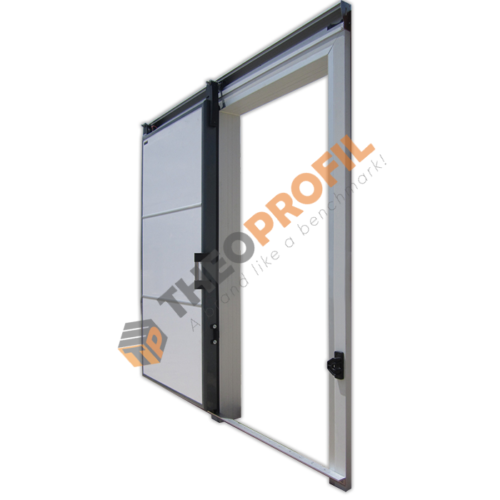 Sliding Door - Request price ! Sliding sysytem for door leaves up to 120 Kgrs. Suitable for door thickness from 40mm – 150mm. Sandblasted finish with 15 micron aluminum rail., Composite rollers ensuring long service life and reduce noise development.Hygienic design with reduce space impact. Handle bar made from stainless steel. For positive and negative temperatures. 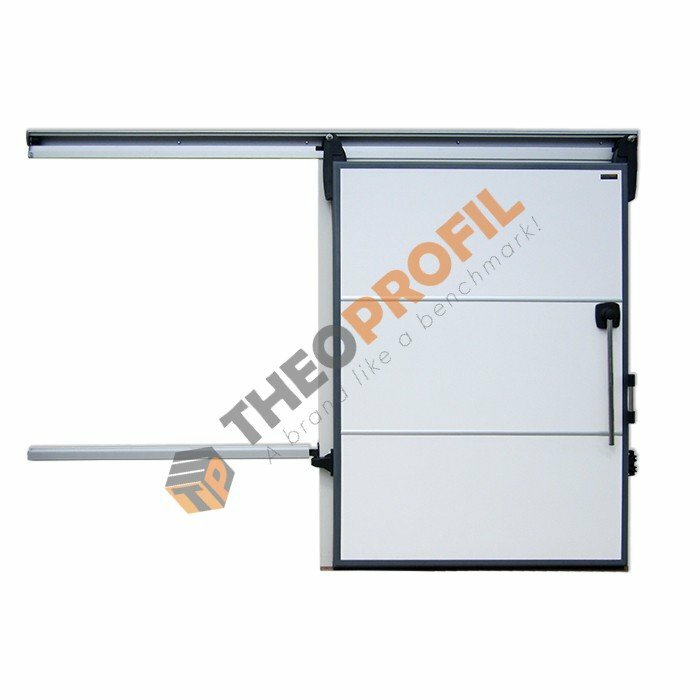 Allow opening and closing of sliding doors up to 120 Kg with minimal effort., They have been designed for minimum thickness of 70mm and and maximum thickness of 150mm. 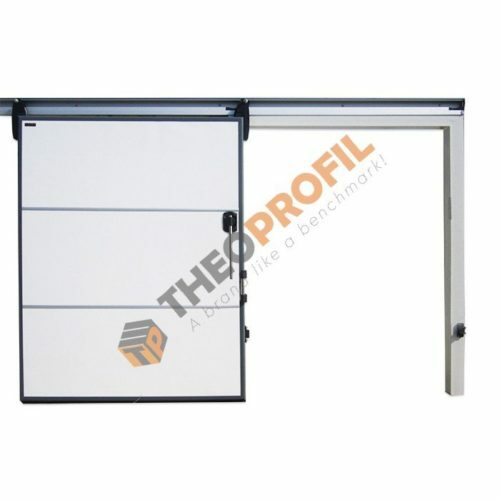 handle suitable for sliding doors up to 120 Kg. Their design allows opening of the doors with minimal effort. Designed for minimum door leaf/thickness of 50 mm., Handle bar made of aluminium with full round ends. For positive and negative temperatures. Sealing with PVC strip curtain. With your chosen dimensions.